I got a berry smoothie and my gosh was this fresh. It was a touch on the bland side and I saw that there was honey on the side of the cup. 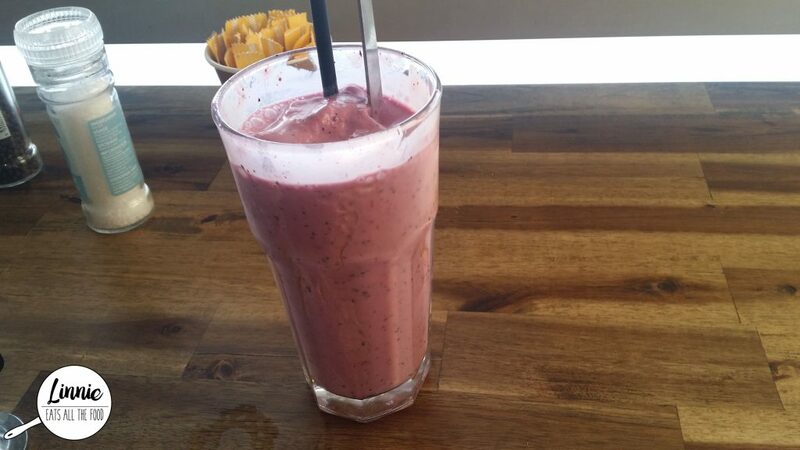 Perhaps it would have been more flavoursome if the honey was mixed into the smoothie instead. 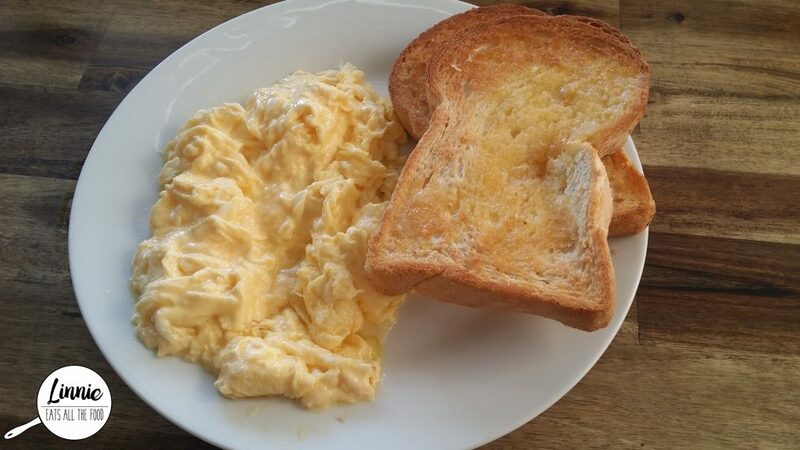 I’m a sucker for scrambled eggs ever since Mr D made them for me and Liquid Gold, you’ve delivered! The eggs were oh so creamy and bursting with flavour. The thick buttered toast? So fluffy like clouds and this with the eggs, my gosh, AMAZEBALL! 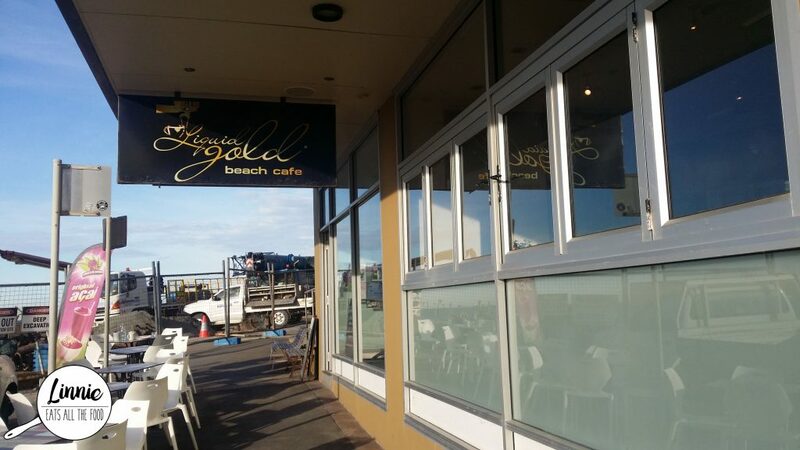 If you want awesome sauce scrambled eggs with a great view in a friendly environment, check out Liquid Gold Beach Cafe. I would seriously fly back to Newcastle to have those eggs for breakfast again.